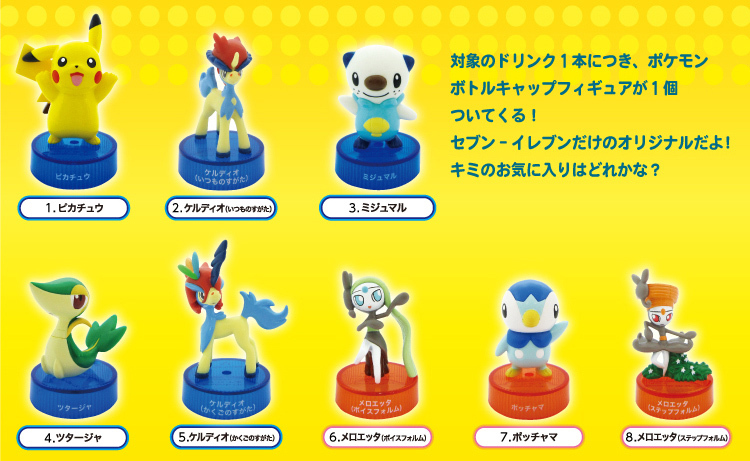 Ring in The New Year with this awesome Pokemon figure collection from the newest Pokemon Best Wishes Movie just released on December 8th 2012 (US & Canada). This collection features 8 different Pokemons from classics like Pikachu & Oshawott to freshly debuted ones like Meloetta & Keldeo! Each figure is thoughtfully sculpted and pre-painted for a must-have finish! At just $3.95 retail you can't afford not to catch them all! Measurements: Figures stand approx. 2-3"